A memorial service is a loving tribute, honoring your loved one. It allows everyone to get together and remember the good times, comfort each other, and begin the healing process. The service takes place after the cremation and can either be held in one of our chapels, or a church or alternate venue in our service area. 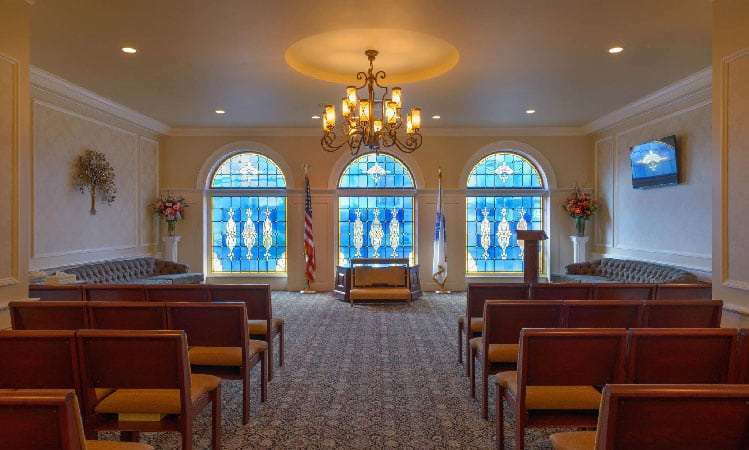 This package includes all services associated with the cremation, an urn, flowers, a memorial record package, and the use of facilities and staff for the memorial service in our chapel. If you choose your own church or venue within our service area, you will have access to our equipment and staff. Other features and services are available for an additional fee.